Canyon Creek PTA's Partnership program offers ways to do things you might do anyway that will benefit our PTA - and our school & students! Throughout the year, we will share opportunities to dine out at local restaurants or participate in local activities - and a portion of your check/admission/etc. will be donated to our PTA!! If you shop at Fred Meyer or Amazon, order online at Shutterfly or tinyprints, OR you purchase items with a Box Top and save for them for our Box Top drive, you are GIVING back to the PTA without much effort! Ordering birthday invitations or cards for any holiday? Making a photo book to document a trip or your family's life last year? Simply click through the logo to the left (or this link) and both Shutterfly & tinyprints will donate 8% of your purchase to our PTA! It's that easy! Discounts will all still work and the donation to Canyon Creek PTA will be determine based on the final transaction amount. Bookmark this page for quick access: http://canyoncreekpta.shutterflystorefront.com. Sign up for the Community Rewards program by linking your Fred Meyer Rewards Card to Canyon Creek Elementary PTA at www.fredmeyer.com/communityrewards. You can search for us by our name or by our non-profit organization number (JW672). Then each time you use your rewards card at Fred Meyer our school earns a donation! This will NOT affect YOUR rewards at all. This Community Rewards setting only lasts ONE year, so it must be reset every year to keep the donations coming. Select Canyon Creek Elementary PTA as your charity and Amazon will donate 0.5% of the price of your eligible smile.amazon.com purchases to Canyon Creek PTA whenever you shop. You must submit the order on smile.amazon.com for the order to be eligible!! Learn more about Amazon Smile here. ** Our Fall Box Tops Drive earned Canyon Creek PTA $649 (for collecting 6,494 Box Tops). Keep collecting for the next Box Tops Drive - February 4th-14th, 2019 (extended due to winter weather)! Twice a year Canyon Creek hosts a Box Tops competition. You can clip and save Box Tops off participating products and bringing them into your teacher or in the front office in a Ziploc bag. Please note your student’s teacher name on the bag. For each valid Box Top, our school gets $.10 - it adds up!! You can also sign-up to participate in e-boxtops. Visit www.boxtopsforeducation.info/earn/redeem-eboxtops for more information. Check out this handy Printable list of all participating Box Top Products. Questions about this program? Please email BoxTops@canyoncreekpta.org. Dine Out at Inchin's Bamboo Garden! This fundraiser is over. Thanks to all the families and community members who participated in this event, we received about $362 in donations to Canyon Creek PTA!! Need an excuse to go out? Plan to visit Inchin's Bamboo Garden on Saturday, February 2nd, noon-10:00pm and 25% of the sales will be donated to Canyon Creek PTA. Inchin's Bamboo Garden is located at 22010 17th Ave SE, Bothell (next to Starbucks and McDonald's). This fundraiser is over and there was no donation as there was no participation. 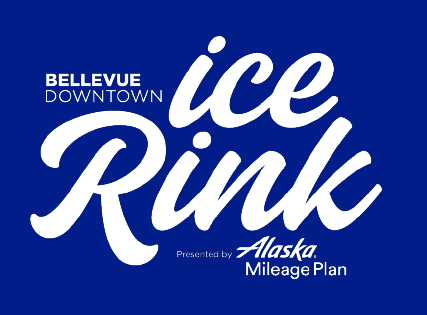 Go ice skating in the timeframes below and mention Canyon Creek - and $3 of each ticket purchased will go to Canyon Creek PTA! This fundraiser is over. Thanks to all the families and community members who participated in this event, we received about $336 in donations to Canyon Creek PTA!! On Tuesday, December 11th (all day) - mention Canyon Creek PTA or show the flyer below at MOD Pizza in Canyon Park and 20% of your bill will support Canyon Creek PTA! This fundraiser is over. With the amazing turn out and generous families & community members, the "tip jar" & cookie "sales" resulted in $688 in donations -- AND we will receive a donation check from Canyon Park McDonald's for 20% of sales in the amount of $745. That's $1433 for a three hour event! Want to take a break from cooking? Head out to the Canyon Park/Bothell McDonald's for McTeacher's Night! Many of Canyon Creek's teachers and staff will be working at McDonald's on Wednesday, November 14th, 5-8pm. A portion of EVERY purchase will go to Canyon Creek PTA! Share with your friends & family! Learn more. FilmRaiser - "Instant Family" movie! Take your family to see "Instant Family" between Friday, November 16th and Sunday, December 2nd - and $1 for each ticket will benefit Canyon Creek PTA (when purchased thru our special link). Learn more about HOW to purchase tickets. ** This fundraisers is over. Thank you to the families to participated - Canyon Creek PTA received a donation of nearly $140! Join us on to support our PTA. Purchase a package deal including: 2 hrs unlimited arcade games* and your choice of one game of laser tag, one game of bowling or unlimited play in the Inflatable Funzone -- all for $24.95 plus tax per person when "Canyon Creek PTA Back to School" is mentioned on the event dates. If you have any questions or would like to help us get involved in other partnership programs, please reach out to partnerships@canyoncreekpta.org.